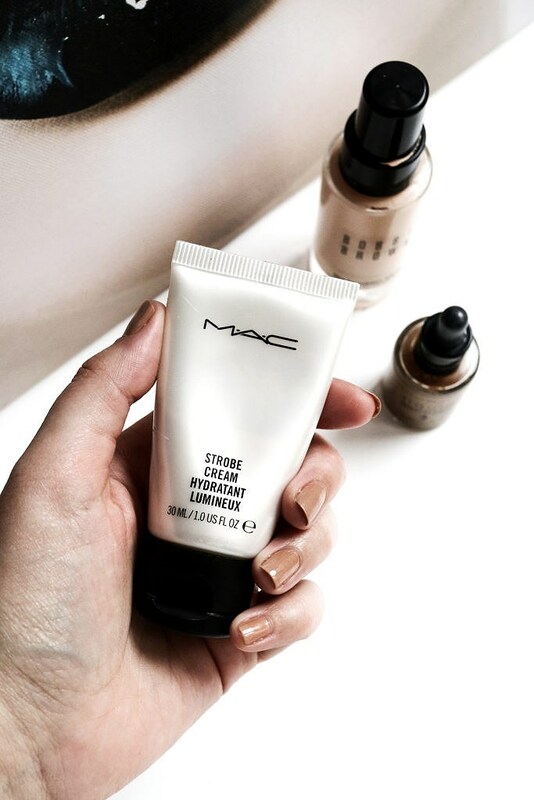 One of my go-tos when it comes to a glowing base is the MAC Cosmetics Strobe Cream. 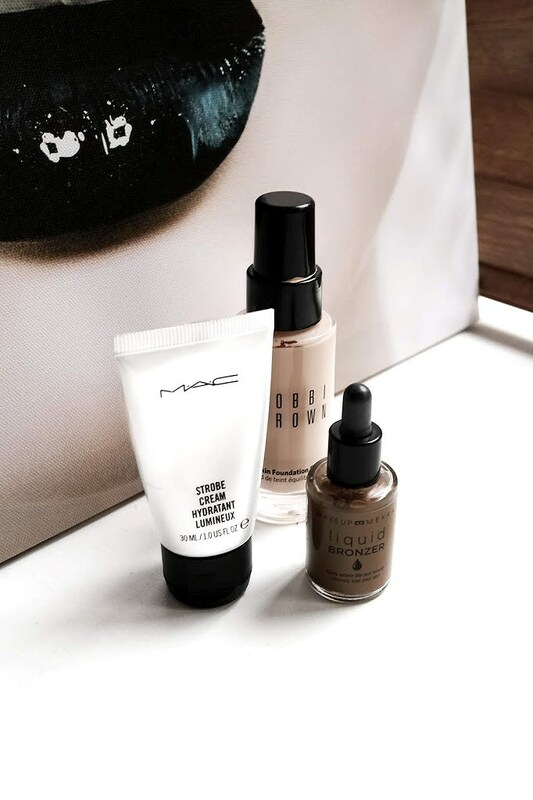 There's so much you can do with this product - you can use it as a primer, mix it in with your foundation for some extra glow, and use it as a highlight on the highest points of the face. Sometimes I do all three of the steps, but most of the time I use this as a primer. You can also get this product in different shades, depending on which shade of glow you want. I have the original shade Silverlite, which reflects as a silver glow. When I'm doing a glowing makeup look I love using a foundation with sheer to light coverage to let the glow underneath peak through. Lately I've been loving the Bobbi Brown Skin Foundation. This is a foundation with SPF 15 which gives a flawless natural-skin finish. It also helps to moisturize and boost skin's glow. To warm up the face I've been using a liquid bronzer. My go-to at the moment is the Makeup Mekka Liquid Bronzer in the shade Sun-Kissed, which gives a glowing and sun-kissed finish to the skin. This liquid bronzer blends like a dream, and is the perfect shade for my pale skin. For blush I've been loving the MAC Cosmetics Powder Blush in the shade Style. This is a coral-peach blush with golden pearls in it, which looks stunning on the cheeks. I've been wearing this non-stop for months now, and it's become one of my all time favorite blushes. To give my skin that extra glow I've been using a powder highlighter on the highest points of my face. 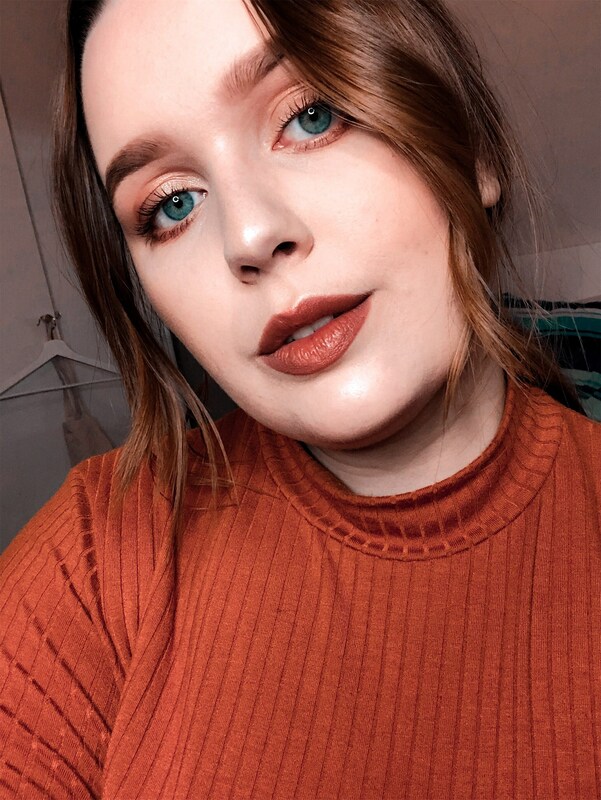 My go-to lately has been the gorgeous limited edition Anastasia Beverly Hills Amrezy Highlighter, which reflects as a light gold. The formula is so smooth, and you can build it up depending on how blinding you want your highlighter to be. Lately I've been applying this product with a cheek brush to give my skin a natural glow. 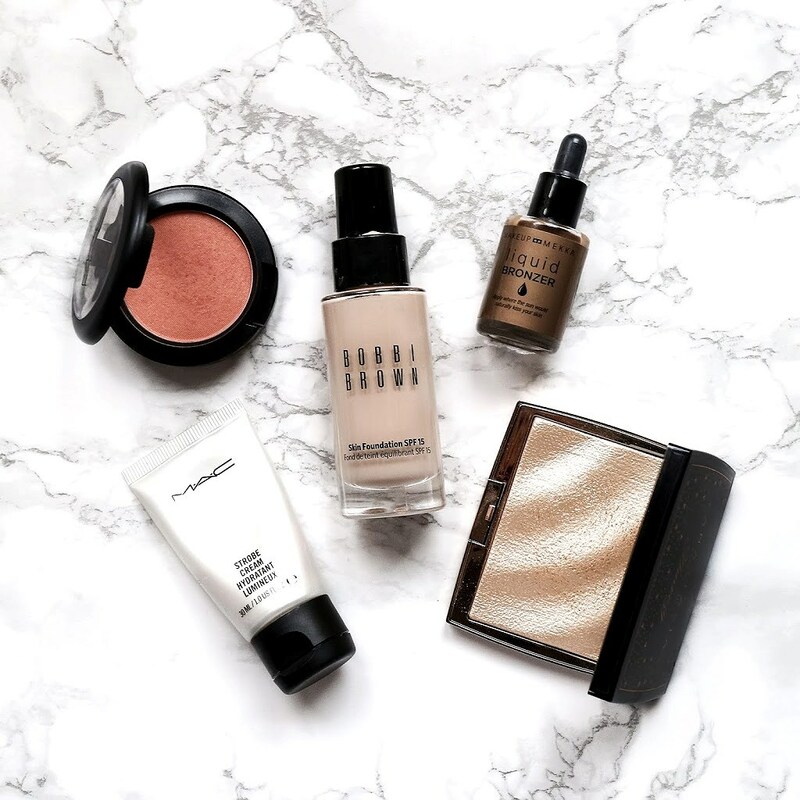 What's your go-to products for a glowing base?